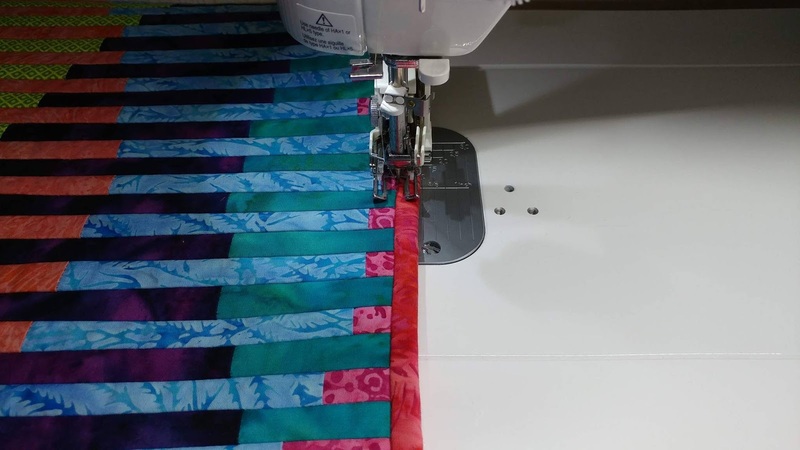 It's time for the Blogger's Quilt Festival at Amy's Creative Side! 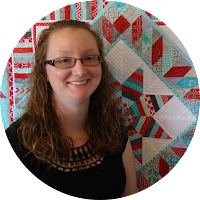 Each fall, Amy hosts a linky party on her blog for other bloggers to link up two of their finished quilts so everyone can be inspired and meet new quilty friends! 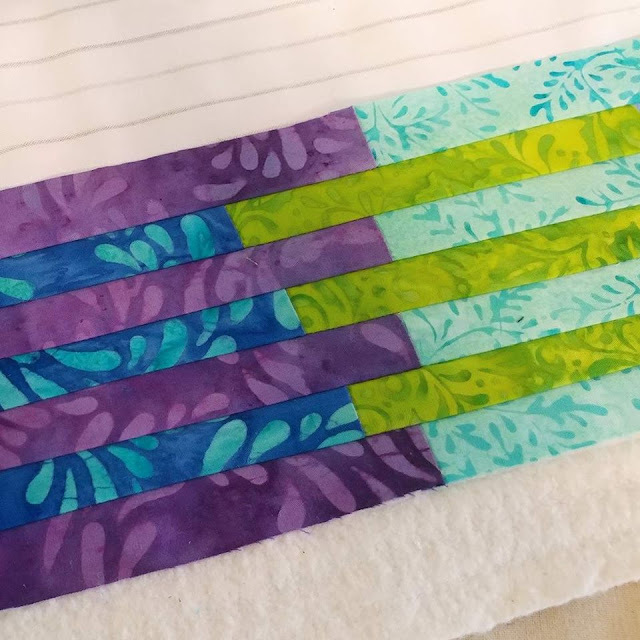 I've started seeing Interleave quilts popping up on social media, so I wanted to see if they were really as easy as people say! I started by reading Lorrie Cranor's tutorial. 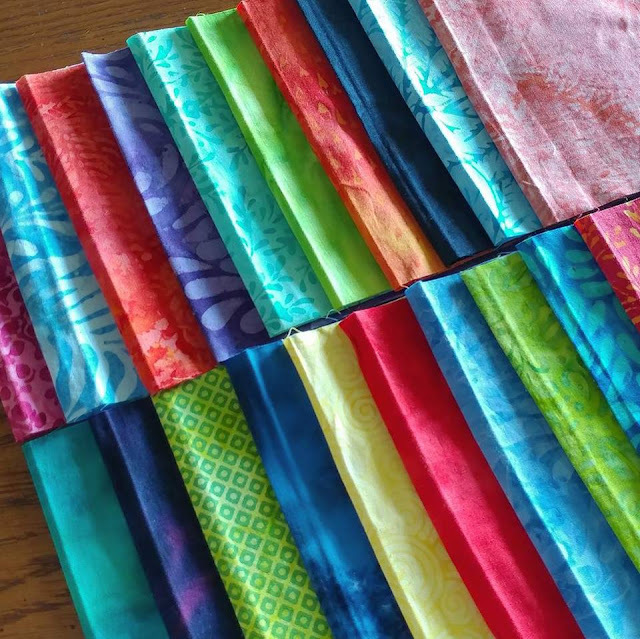 I followed the tutorial with just a few small changes so I could adapt the pattern to be able to use stash builder rolls from Island Batik. I am an Island Batik ambassador. We have monthly challenges with a theme. (February Galentine Mug Rugs and Kennel Quilts, March Mini Quilt, April Applique, May Modern Quilt, June Curves, July Baby Quilt, August Quilt-As-You-Go, and September Back to School.) There are still several challenges yet this year, and I'm excited to share some of the quilts I'm planning! You can read my original post for the quilt here. In that post, I go into much more detail behind the scenes and offer a few tips too. The quilt is made using a quilt-as-you-go method. Even though the quilt looks complicated, it's actually quite simple and comes together really quickly! 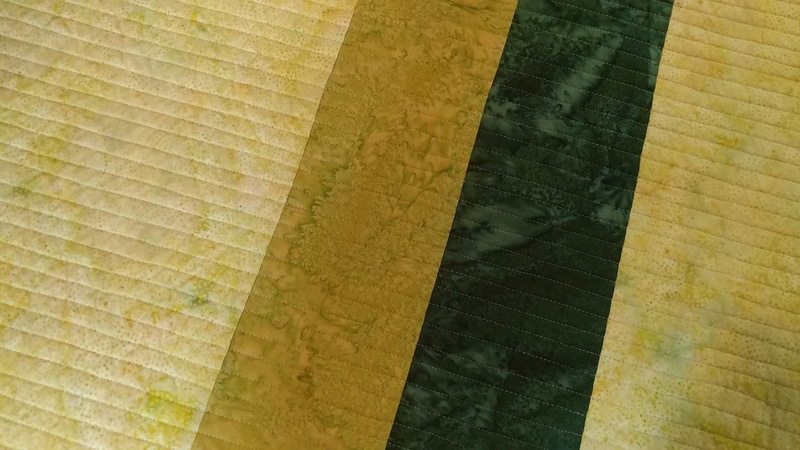 Once all the strips are sewn together, the quilt is already quilted, so you just have to add binding! This quilt finished around 40" square. I used Warm 100 cotton batting by The Warm Co. and Aurifil 50wt thread in Stone #2324. This is definitely a quilt on my list to make again! 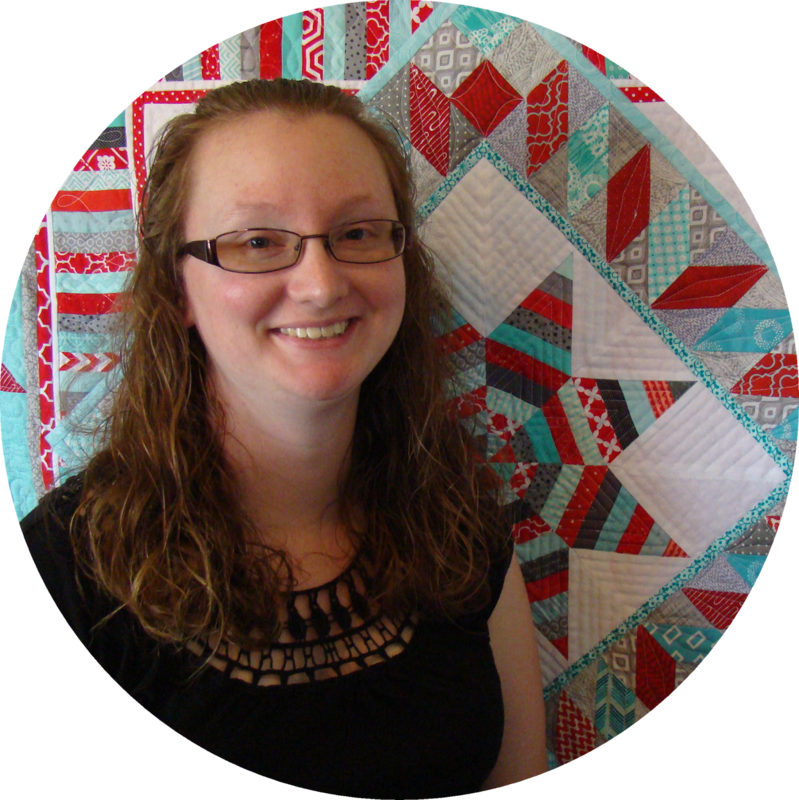 If you're visiting my blog for the first time for the Blogger's Quilt Festival, hello! 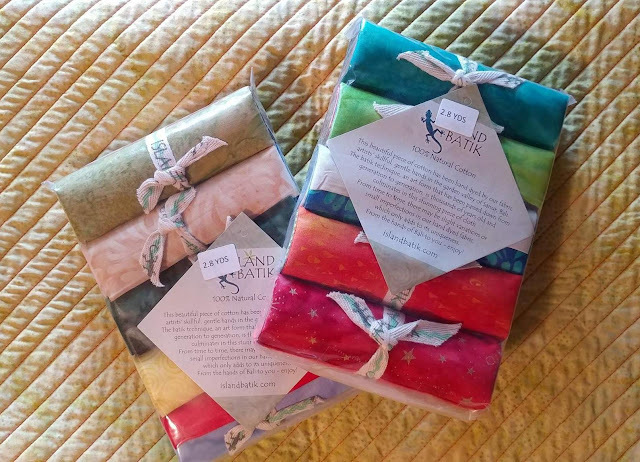 I like to post behind the seams and the story behind each quilt that I make. You can see all my quilt finishes here (or by clicking the tab at the top of my blog). 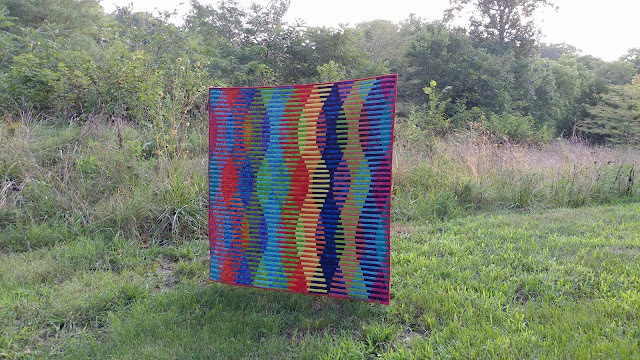 Linking up to the Blogger's Quilt Festival at Amy's Creative Side. Beautiful, I love those rich jewel tones. So cool that it's QAYG, too! I really love the visual effect and how dramatic this quilt finish is, Laura. I like all the things you learned along the way with this quilt! What a great pattern. It doesn't look easy at all. Such great contrast and curves. This quilt top has such a awesome look, I love curved look to the piecing. Wow! When I saw the picture, I thought, that must be really complicated! I'm so intrigued by how you put it together. Definitely one to add to my "must try" list. Thanks for sharing -- it came out so pretty! This is so great. It's so dynamic and the color play is beautiful. I loved reading about your stunning quilt Laura. It has such movement and vibrancy of colour! Thanks for sharing. 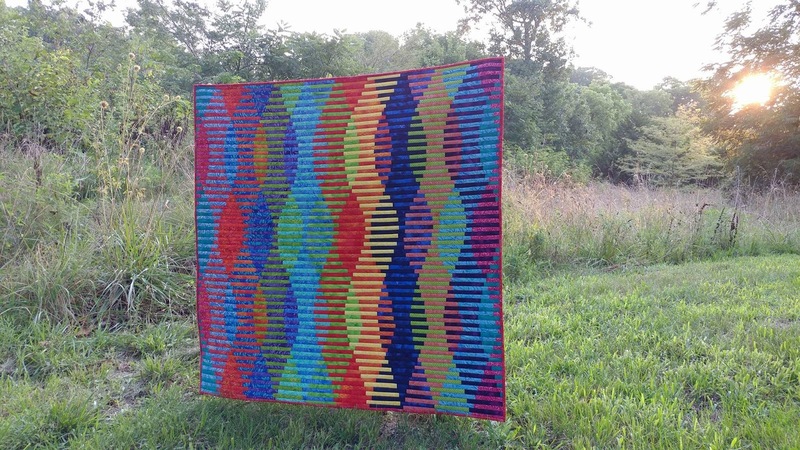 This is one of the most spectacular quilts I have seen. I am putting this on my to-do list for 2018 (cause you know that 2017 is crazy busy and almost over). It is a shame that there is no more voting in the festival, otherwise you'd have my vote. That's a QAYG??? Clearly I need to expand my repertoire! Love the colors and their placement for visual impact! Nicely done! Your quilt is stunning. I had not seen this process before so thank you for showing how it was made. It is a beautiful finish. What a fantastic quilt! 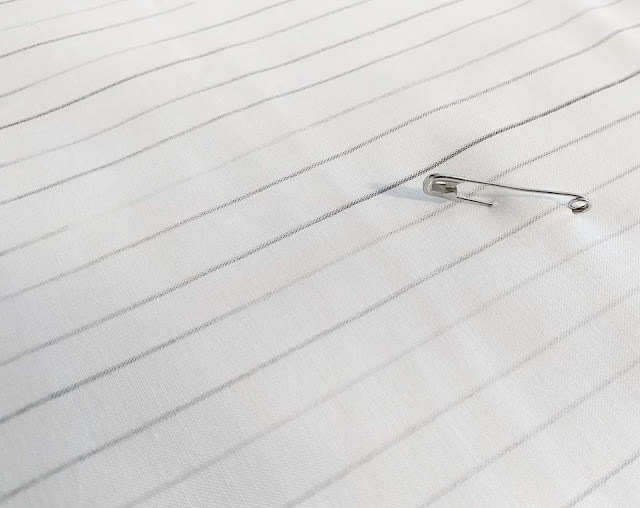 I'd love to try to make one. Great job!! This is one of my favorite quilts you made and a wonderful example of your workmanship. You are always up for a challenge. Love this quilt - the colors are amazing! Fantastic looking quilt! So amazing that it's QAYG too! This quilt looks so detailed and difficult. It is a beauty. Thanks for sharing. I love this quilt and continue to be in awe of it. It really is quite spectacular. Wow!! I find it difficult to believe that this was an easy quilt. You did a great job on your version of the quilt! Love this quilt! Love the colors and how the whole thing works together. Beautiful quilt, with a great visual effect. It's a beauty, and hard to believe that it's simple to piece. =) I'll have to read your other post.